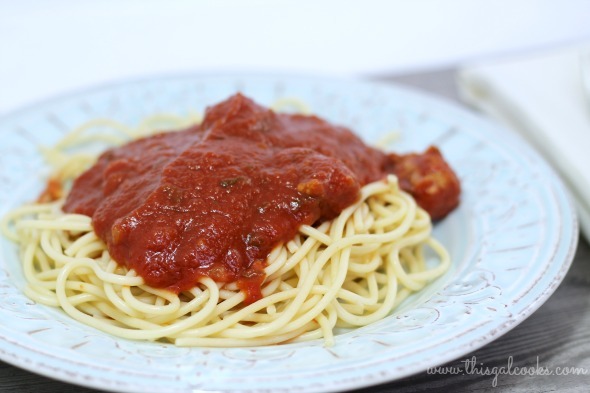 Whenever I have spaghetti, I love to make homemade spaghetti sauce. I’ve made a few different recipes over the years, unfortunately, I didn’t write them down. So I decided to make a new recipe this past weekend so I could have a good recipe on hand for my future spaghetti sauce making adventures. Now I have to admit, there are times when I will use jarred spaghetti sauce. When Publix has the good brands on sale BOGO free, I’ll pick up a couple of jars because it makes for a quick weeknight meal. Just boil some pasta, heat up the sauce and you’re set in less than 20 minutes. But no sauce compares to homemade sauce. 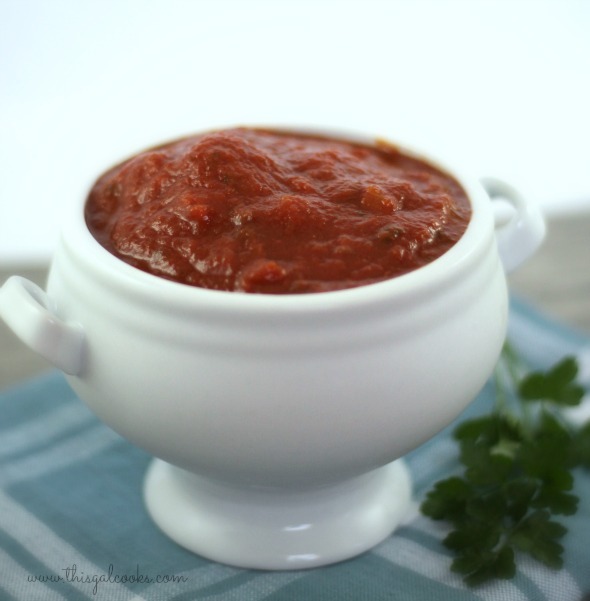 So if you want to have homemade sauce rather than jarred sauce for a weeknight meal, I recommend making my sauce and freezing part of it so you can thaw it for that quick weeknight meal. I hope you enjoy this recipe! In a large pot, saute the onion and garlic in the olive oil over medium heat until tender. Add the sausage balls and saute for 2-3 minutes or until the outsides are slightly browned. Add the tomato sauce, tomato puree and tomato paste. Mix well. Mix in the red wine. Stir in the oregano, parsley, basil, rosemary, beef bullion and sugars. Add the bay leaves. Cover and simmer for at least 1½ hours. A longer duration is recommended. This looks good, I always include sausage too and think you have a great recipe. Thanks! Oh my Julie – please serve me up a plate now! Looks fantastic and so do the photos! !… Pinning and sharing! Beautiful pics, Julie! Sounds awesome too, I have always loved spaghetti. Spaghetti is my all time favorite meal. Hmmm….I have to try this! I am 100% Italian and I have my two recipes that I always use for sauce…one for Marinara Sauce and one for meat sauce. Yours has some different ingredients and so has intrigued me into trying it to see how it all tastes! Wish me luck on getting it right! 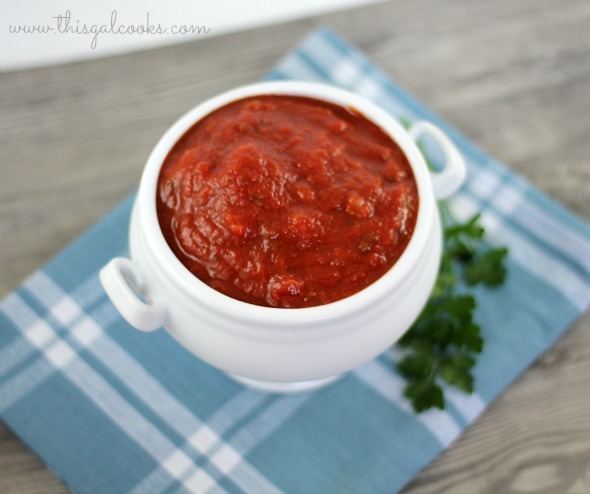 You can not have too many red sauce recipes! Mmmm.. 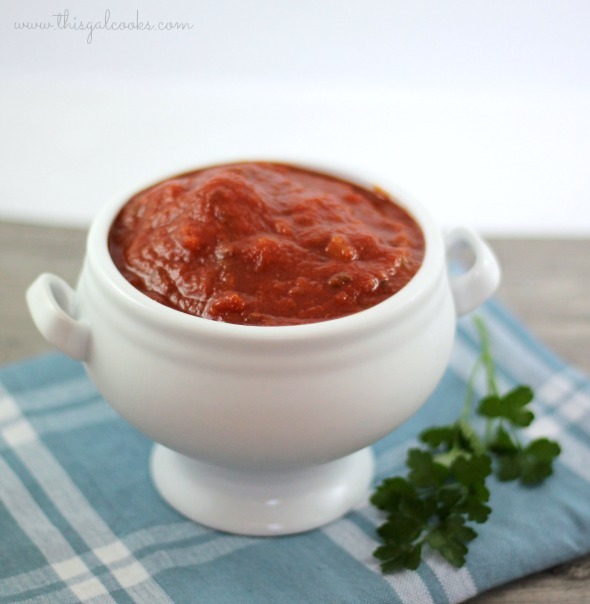 This sauce looks delicious, I love the texture and the ingredients are a little different! I’m stopping by form Call Me PMC! Have a wonderful week!